The competition is now elevated to another level where Chennai Super King have already made their seventh appearances into the IPL Finals. Interestingly, the remaining three teams in the playoffs have already won the IPL trophy at least once and will try to put more efforts to add another trophy in their cabinet. Rajasthan Royals are very lucky to be in the playoffs after Delhi Daredevils did a marvelous job for them by defeating Mumbai Indians in a thrilling face-off. On the other hand, KKR will not disturb the combination which defeated the tally toppers SRH in Hyderabad in their previous game. The Rajasthan Royals may also go with the same playing XI for this nail-biting game that is going to take place on Wednesday. The spin department of Rajasthan Royals is also good enough with Shreyas Gopal looking to continue his dream spell in this game as well. KKR young guns are in excellent form and are ready to tackle the bowling of the Royals. Sunil Narine has the best powerplay strike rate 198.4 this season. In first six overs slot Narine made 252 runs in 127 balls. KKR skipper Dinesh Karthik will reach the 5000-run mark in T20s if he manages to score 36 runs, while Sanju Samson needs 39 runs to get 3000. Sunil Narine needs two wickets more to get 50 at one venue in the IPL (Eden Gardens) after Lasith Malinga at the Wankhede Stadium. 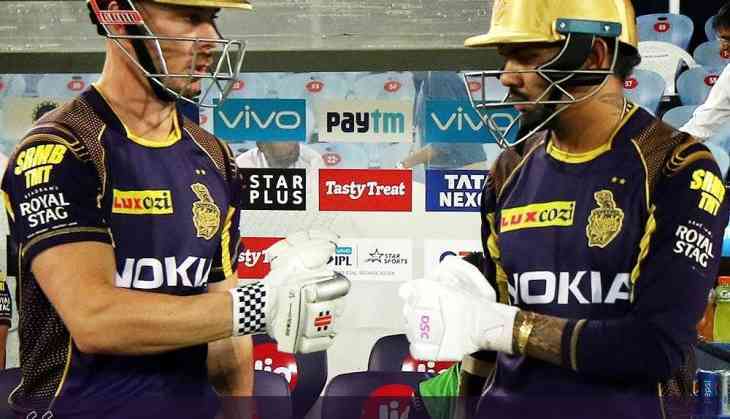 Both the teams have played 17 matches head to head in which Kolkata Knight Riders had won 8 matches while Rajasthan Royals has won seven matches. The remaining two matches ended up on a tie or with no results (RR won both the super overs). IPL 2018 eliminator match will start at 07:00 PM IST, Eden Garden. Rahul Tripathi, Ajinkya Rahane (c), Sanju Samson, Heinrich Klaasen, K Gowtham, Stuart Binny, Jofra Archer, Shreyas Gopal, Ish Sodhi, Jaydev Unadkat, Ben Laughlin. Jamia University's website hacked again with new message "Sorry, I Have a Boyfriend,Pooja"
READ NEXT >> Jamia University's website hacked again with new message "Sorry, I Have a Boyfriend,Pooja"